I love portable food. I don’t mean fast food, but wholesome, tasty food, ideally in a portable container. Something a little more sophisticated and squish-proof than a sandwich but with similar versatility. Lithuania has lots of them, including kibinai & čeburekai, but my favourite has to be the classic Cornish pasty. This one is from Rick Stein’s deli in Padstow. 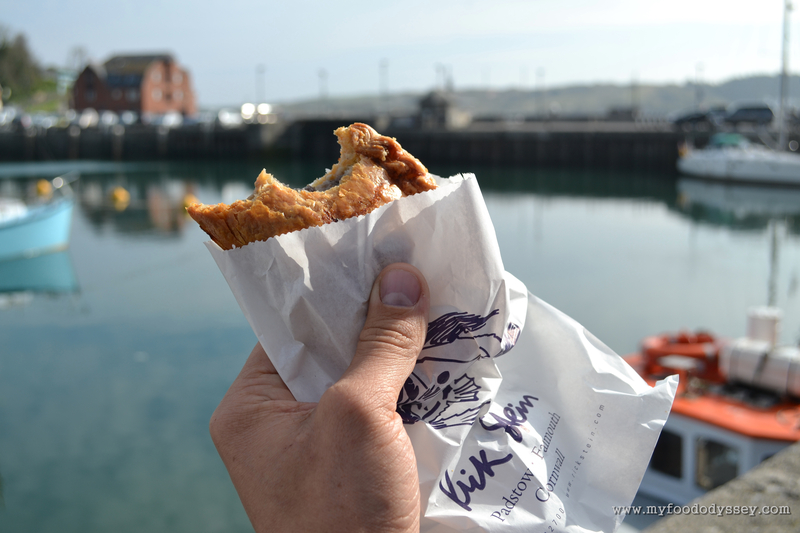 Between the pasty & the view, it was a lunch made in heaven! Yeh, it’s very interesting reading about the source of various national foods. Šašlykai is hugely popular here, especially in summer, but I think it has Armenian roots. I also read that čeburekai have Turkish roots. Who knows, really! They’ve definitely all been adopted into everyday life here!